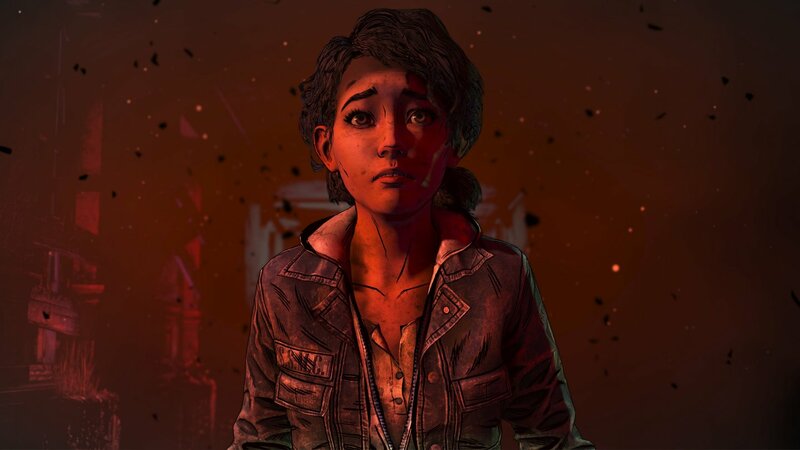 The troubles facing Telltale Games, coupled with a story comprised of filler and cliffhangers, make this episode of The Walking Dead: The Final Season the worst one yet. Writing the review for the second episode of The Walking Dead: The Final Season has to be one of the toughest gigs I have done in my 8+ years of writing. A few days prior to this episode being released to the public, it was announced that Telltale Games was closing its doors, causing confusion about the future of this season. While the dust is yet to completely settle, it seems more and more likely that this is officially the final episode of The Walking Dead. While Telltale themselves have stated that other developers have come forward to assist in getting the rest of the season out, the fact that they won’t be finished by the team that poured their talents into these games over the past few years leaves a sour taste in the mouths of many. Telltale are now facing multiple lawsuits, and have taken the entire season off of every online storefront, save for the Switch eShop. So how do I go about writing this review? I considered a handful of options, including reviewing this as it was originally intended, as if there were still more episodes being released. I also considered covering this as the last episode in a four season series, and whether this would be a fitting end to Clementine’s story. There’s also the option to review it as a standalone product, recommending whether or not it was worth purchasing for the public or not, seeing as how many people will read reviews online to determine whether or not they will make a purchase. Each of these options ended in a completely different final opinion and score in my mind. I eventually decided to base my overall opinions and review on each of the above points, and I will explain each of these separately, before finally drawing them together in what I hope is a tangible conclusion that reflects the entire situation, balanced somewhere between what Telltale as a group of devoted developers have done for the game, and what Telltale the publisher has done for the game. This will obviously not please everyone, but I at least hope that you can understand the predicament this title has put a lot of writers under. Please be warned. There will be spoilers of the first episode (and some minor ones about this episode) in this review. The narrative picks up exactly where the last episode left off. AJ has just shot Marlon in the back of the head, and the entire group of teenagers are left to deal with the horrific reality that they just lost their leader. The group aren’t sure how to process everything, but ultimately vote on whether or not Clementine and AJ need to leave the school, fearing that any one of them could be killed by AJ next. 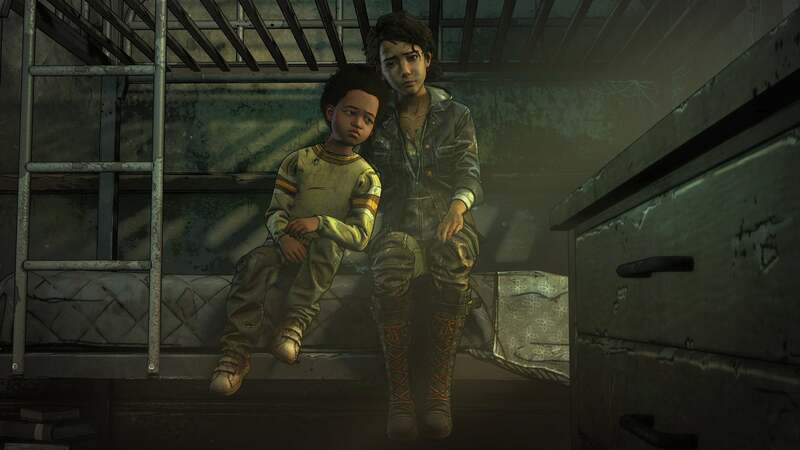 Without spoiling too much of the story, Clementine and AJ meet up with a character from the first season, revealed to be part of a group that Marlon had helped kidnap in exchange for the school’s safety. This group threatens the livelihoods of the teenagers in the school, and most of the episode is spent watching Clementine and AJ try to atone for their sins by setting the school up ready for a fight with the newly introduced group of adults. To be completely honest, this episode trudges along at an alarmingly slow pace, and for an episode leaning more towards the interactions between the characters, there’s very little in the way of character development. Aside from Violet and Ruby, none of the characters show any new layers that weren’t already seen in the first episode. It’s quite disappointing for a game that promises to be part of a final season, only to offer very little in regard to making me care about these characters. It’s a shame, because as this is likely the final episode, it unfortunately ends on a cliff hanger. Thankfully, it involves characters not worth caring about, so there is that I suppose. 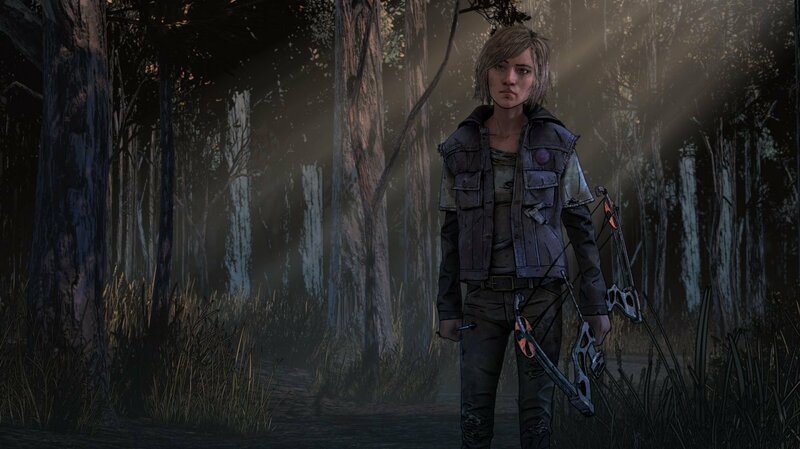 The biggest trap that The Walking Dead falls into, both as a video game and as a television series, is that almost every season has the same kind of complication occur. Someone dies, someone is kidnapped, there’s a new community, there’s a community threatening to derail the protagonist’s community, there’s a fight and people lose loved ones. Rinse. Repeat. As the episode concludes with a cliffhanger, we may very well never know Clementine’s fate as the conclusion of the season. Because of what has come to light in the days after Telltale closed their doors, it seems abundantly clear that they will only operate as a skeleton crew of 25 or so developers. As a result, many people are out of a job, and the only hope left for the rest of the series is having a completely new set of developers finish the last two episodes. It’s maddening, as it is oftentimes too easy to forget the efforts of the actual developers, who have worked year after year to continue the story of Clementine. As an episode, Episode 2 doesn’t do a whole lot to expand on The Walking Dead series. As a likely finale to a four-season-long series that a lot of people have come to love, there is nothing to take away from this episode, as it asks more questions that (might) not be answered. As a game released by a company that, by all reports, didn’t take care of its employees, it just leaves a sour taste in my mouth. Unfortunately, in a series that could have been celebrated, Episode 2 of The Walking Dead: The Final Season has turned out to be yet another reminder that the game development industry can often be a troublesome career path. This review was based on the PlayStation 4 version of the game. A copy was provided by Telltale Games.